In 1977, the University of Southern Maine (USM) was among eight pilot sites funded by the U.S. Small Business Administration (SBA) to test the concept of leveraging federal, state and higher education resources to assist entrepreneurs and spur economic growth. The program proved successful. Beginning in 1980, small businesses nationwide could access the services provided by the SBA’s Small Business Development Centers. How much capital was generated in loans, owner investment, etc. Today, USM administers the Maine SBDC program through the College of Management and Human Service. A cooperative agreement with Maine’s Department of Economic and Community Development (DECD) enables the state to match the program’s federal funding. 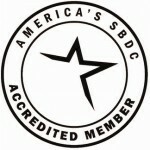 National accreditation by the America’s Small Business Development Center (America’s SBDC) ensures adherence to a set of standards. Every five years, the 63 SBDC programs around the country are subject to a rigorous evaluation to ensure that the high Baldrige-based standards set forth by the America’s SBDC are being met. The Maine SBDC was most recently accredited in 2013. The Maine SBDC contracts with organizations, or hosts, to provide advising throughout the state. Hosts are deeply invested, contributing resources and in-kind support. Host organizations are the Androscoggin Valley Council of Governments (AVCOG), CEI, Northern Maine Development Commission (NMDC) and the University of Southern Maine (USM). Maine SBDC advisors have solid business experience as most have either owned or managed a business, hold advance degrees and are client-focused. They are certified through New England Professional Development (NEPD).